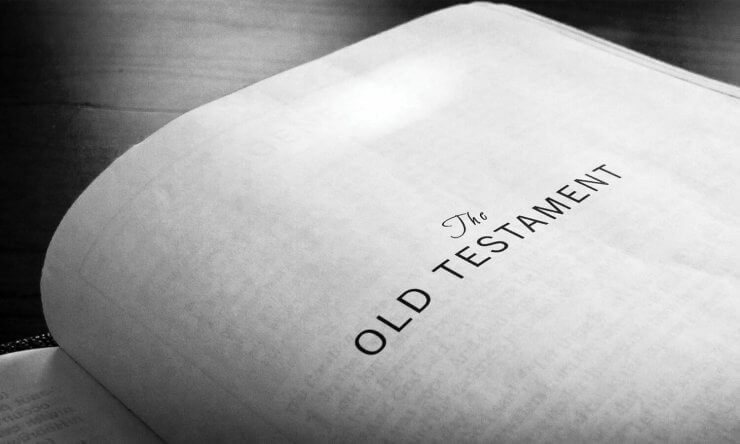 Do Christians have to keep the Old Testament law? Do we still have to fulfil the Old Testament law, as Matthew 5:18-19 seems to suggest? The short answer to your question about keeping the Old Testament Law is that no, Christians are not under obligation to live under the Old Testament Law laid out in the first five books of the Bible. We know this because many New Testament verses address this issue. When trying to understand a difficult passage, a good practice is to find other Bible passages that help us understand it. In Galatians 3:23-26, Paul teaches that the Law served as a “tutor” to lead us to faith in Jesus. The Law shows us our inability to keep the Law in our own strength. He concludes, “Now that faith has come, you are no longer under a tutor (the Law)”. In Romans 3:19-26 we see that no one can be justified by keeping the law because we all fail in our efforts to keep it. In fact we are justified by faith in Jesus, apart from the Law. In Romans 7:6 Paul states “we have been released from the Law”. He goes on to say in Romans 10:1-4 that Jesus is “the end of the Law for righteousness for everyone who believes”. See also Galatians 2:15-21; Ephesians 2:8-10. So in light of these other Bible verses, what was Jesus talking about in Matthew 5:18-19? These two verses are actually part of a longer section (Matthew 5:17-48) in which Jesus teaches about what it means to “fulfil” the Law and the Prophets (the entire Old Testament). The religious leaders of Jesus’ day paid special attention to obeying, or “keeping”, the strict legal sense of the 631 commandments laid out in the first five books of the Bible. One of their concerns about Jesus is that He didn’t appear to obey these laws in the same way that they did (Matthew 12:1-2, 12:10-12; Mark 2:23-27, 3:1-6, 7:1-5; Luke 13:10-17; John 5:2-18). In Matthew 5:17-19 Jesus affirms the enduring nature and authority of the Scriptures very clearly. In fact, He announces that He came to fulfil the Scriptures – which point the way to Him as God’s promised Messiah (See Luke 24:25-44; John 5:39-46). This is reinforced when Jesus links the Scriptures with the idea of “all” being accomplished (Matthew 5:18). As we know from John 19:30; Galatians 4:4-5; Ephesians 1:10; Colossians 1:15-20; and Hebrews 1:1-4, this promise of all things being accomplished was fulfilled in Jesus’ life, death and resurrection. Having established His deep respect for Scripture, Jesus goes on to bring out the deeper meaning of several specific commandments with a series of statements that “you have heard, but I say to you…” in Matthew 5:21-48. Rather than setting laws aside, Jesus shows that the full meaning of the laws as intended by God actually makes them harder to keep, and that to enter the kingdom of heaven one would have to exceed the righteousness of the religious leaders (Matthew 5:20). In fact, Jesus concludes the section with the need for his hearers to be perfect, as God is perfect (Matthew 5:48). Just as Jesus’ listeners were amazed at Jesus’ teaching (Matthew 7:28) so might we be, because none of us can be perfect like God. This is why Jesus came to earth, both to save us through his sacrificial death, and to show us how God wants us to live. When we are redeemed through Jesus, we are given His Spirit who enables us to grow in our ability to live out the deeper meaning of God’s commandments (Titus 3:5-8). Read also Were Old Testament believers saved by Jesus? Am I predestined for heaven?